They say if you love what you do, then it wouldn’t feel like work. But you gotta face the facts: There will be those days when things at the office just seem to refuse to go your way. You have an early morning teleconference with clients from abroad? The MRT decides to break down mid-way to the office. You’re already 75 percent done with the big project you’ve been working on for the past week, then the client makes some changes, forcing you to start all over again from scratch? Oh, and that progress report scheduled for next week? Moved up to tomorrow because the boss is having an extended weekend. Work stress is inevitable, and headaches, problems concentrating, a short fuse, and even stomach aches are just some of the common ways that it can take its toll on your body. The more severe effects of chronic stress, however, include insomnia, anxiety, high blood pressure, and a compromised immune system. These, in turn, can lead to serious health conditions like depression, obesity, and heart disease, reports the American Psychological Association. Yep. 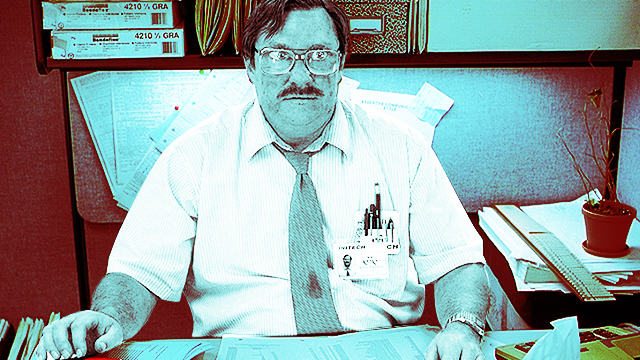 Your job may literally be killing you one deadline at a time. 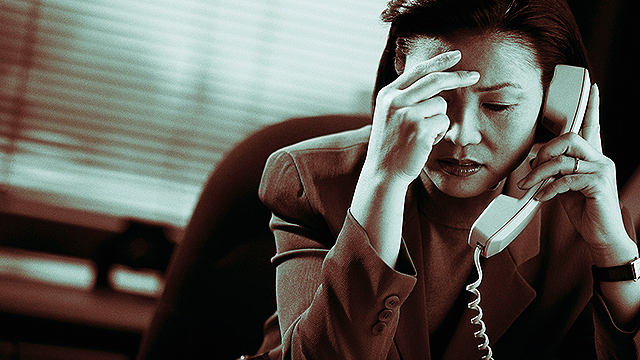 So what can you do to NOT die of work stress? Sweating it out has long been proven to be a good way to lift your spirits. Try boxing. The act of throwing a few jabs and hooks here and there can help release some of the tension that can build up in your muscles as you try to keep up with the demands of the job. Another plus is that when you’re training for boxing, you’ll really need to focus on your every movement, and that will help get your mind off problems and frustrations at the workplace, explains Coach Joselito Rivera of Maic’s Gym in Marikina, a former World Boxing Federation Junior Lightweight World Champion. No, we don’t mean chugging down more water than you normally do. We’re talking about going for a swim. According to data gathered by the US Centers for Disease Control and Prevention (CDC), besides providing a good aerobic workout, water-based exercises like swimming can help with chronic illnesses and has been found to improve a person’s mood and decrease depression. And with summer already upon us, taking some time off to cool down and relax at the pool just makes all the sense in the world. Yoga teacher MJ Diño responds by pointing out Urban Ashram Manila’s mantra: “Flexibility not required.” After all, stretching is just one part of yoga. The other—and just as important part—is proper breathing. And both can be learned, she affirms. Diño says that more than the physical benefits of yoga—like working out the kinks in your body and helping you drop down a shirt size or two—the practice can really help you focus better. As a former advertising executive, Diño knows all about work stress and the pressures of having to multitask all the time, every time. Discovering yoga helped her cope with it all. With better focus, it became easier for her to manage stress in the office. “I learned how to say, ‘Okay, one task at a time’,” shares Diño. “One thing that really helped me is Pranayama. Pranayama is breathing,” she adds. Be honest, haven’t you ever been the least bit curious about acupuncture? And then after seeing this Buzzfeed video, didn’t you just feel EXTRA curious about it? See their post-therapy chill? Who wouldn’t want that, right? Studies show that acupuncture may help reduce lower back pains (which can be caused by all those hours you spend sitting around in the office, slaving away in front of that keyboard) and even the frequency of tension headaches and migraine (which, surprise, surprise, are typical manifestations of stress). As Dr. Philip Tan-Gatue MD, CAc, CMA explains in his blog acupuncture.net.ph, this traditional Chinese medical practice of sticking needles into specific acupuncture points in the body has been found to alter brain chemistry which aids in better energy and blood flow. And this essentially promotes overall wellness. However, stress affects more than just the physical and mental aspects of your life. It also has an impact on your emotional and social states of being. “Stress affects daily life and interactions with people because it can take us away from being in the present and being fully aware and participating fully in any particular moment,” says psychologist Kay Bunagan, M.A. of Better Steps Psychology in Pasig. Translation: You miss out on opportunities to truly enjoy life, and appreciate what you have and the people that you have around you. A pro tip from Bunagan on managing office stress: find meaning and/or purpose in your work. It’ll be relatively easier for you to get through the rough times when you know just what it is you’re working hard for. Another thing to note is the importance of striking a work-life balance, so you don’t end up drowning yourself with office work and wallowing in the stress that comes with it. The key to this is learning to prioritize things based on what you value most, reveals Bunagan. “Allotting adequate time [for] each area of your life according to priority, and combining elements from these key areas whenever possible [ought to do the trick],” says Bunagan. So for example, if family, career growth, and personal growth are your current priorities, finding activities that combine family time and learnings that can help you grow as an individual—and making time for it—would be optimal. Like, say, going on a weekend family vacation to one of your dream destinations, perhaps. That’s one item off your bucket list, you get to spend some quality time with la familia, and it also reenergizes you for a big week ahead at the office. “It's [just] about coming up with your own combination that works for you,” says Bunagan.